Way back when I started this business, I talked myself into the idea that I had no overhead so I could charge less money than competitors. I guess you could say that I had my head in the sand because at the time I was just happy to be making money. Luckily it only took me a few months to realize that this kind of thinking was guaranteeing that Amerivet Services could not survive long term. I was burning fuel, wearing out equipment and tires, and essentially using up expensive resources in exchange for a few dollars, not near enough dollars to replace those resources over time. Another big problem was that I was doing pretty risky work without any insurance to back me up. I was repairing vehicles, heavy equipment, and semi trucks at the time. 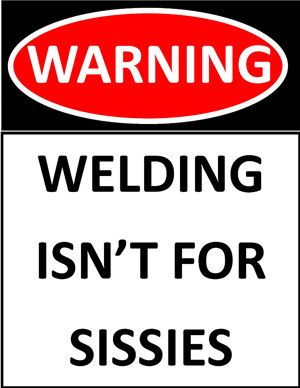 If any of my welds had broken at a critical time, well….let’s just say my business and my future would have ended there. So on a cold winter day, I sat down and started crunching numbers. I needed to figure out what my real term costs were. I also called a few insurance agents to see what good coverage would cost. If I was going to be looking for meaningful work, I needed coverage to back it up. The longer I thought about costs, I realized that TIME was my biggest cost. So then I started thinking back about the time I spent doing each of the tasks that running a business requires. I realized that if I spend eight hours a day welding, it’s usually backed up by “overhead” functions, like marketing & advertising, networking, supplier negotiation, transportation time, maintenance of equipment, bookkeeping, and so on. The list goes on for days, but these are all functions that aren’t directly supported by business income, and most of them come with expenses too. Alright, so I wasn’t paying people to perform these functions, but I was working 18-20 hours per day to run the business and perform them myself. I was (and still am) Amerivet Services’ biggest overhead cost. So then I started digging around the internet, wondering how other mobile welding companies overcome such a huge amount of overhead. What I found was that a lot of people go into the welding business because they know how to weld. What they don’t know is that the market doesn’t always bear enough fruit to pay their bills, let alone pay for all of the time they put into it. I read maybe 20 or 30 stories about how this guy started a welding business, made it grow to the point where he had a good truck, good equipment, good tools, and steady work. Then his wife had to sit him down at the dinner table and explain to him how his business was doing well, but there wasn’t food on the table to show for it. Oh, and by the way, she was divorcing him because he never spent any time with her. These stories vary a little, but they’re all pretty much the same. So with all this in mind, my “cold winter day of research” turned into several days’ research, and a little soul searching. I had to make myself understand that every second of my time is worth “something.” I had to make myself understand that everything that happens in business has a cost associated with it. I also had to make myself understand that if I was going to be in this LONG TERM, I had better start accounting for some of overhead that I’d convinced myself didn’t exist, and then go find work that would pay for it. There was one other thing I needed to learn: My family is the most important thing, and their livelihood is the reason I’m in business. However, if I don’t spend time with them then it’s all a big fat waste of time, money, and resources. So fast forward almost five years. How is this all working out? Well, I’d say it has gone reasonably well and I’ve learned a lot along the way. I take time to do a little soul searching quite often. Every morning I look at the big and small pictures of this business, and make a decision as to which way I should take things. Every morning there’s a decision to move forward and be productive. Every morning there’s an assessment of what my real costs are. Every morning there’s a decision of whether my “time overhead” is being invested properly. If you’re new in business, I encourage you to think about things. Think about your costs of time and money. Think about the impact it’s making on your life. Business takes a lot of sacrifice before you see any gain. Are the sacrifices bigger than the gains? Have a dinner table talk with your spouse, and make sure you’re on the same page. If you’re not, there might be problems later. If just one of you is in business, you’re BOTH in business because you have to work together to make it work. Back here at Amerivet Services, 2014 has gone really well. I’ve got a blog entry related to “Indiana Jones” coming up, but for now let’s just say this year is coming to an end much better than I thought it would. Many thanks to all of our customers, vendors, friends, and “cheerleaders” for all your support. We wish you all the best!